Identification: Forewing outer margin is wavy. Upperside of forewing is gray-brown with distinct black and white bands. 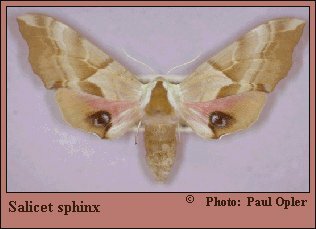 Hindwing upperside is mostly red with a yellow-tan outer margin and a blue spot which is usually divided by a V-shaped black line. Wing Span: 2 5/8 - 3 1/2 inches (6.7 - 8.9 cm). Flight: . Probably two broods from April-September. Caterpillar Hosts: Probably willow (Salix) or poplar (Populus). Adult Food: Adults do not feed. Range: Mexico City north to west Texas, southern Arizona, and extreme southern California; Colorado occurrence requires confirmation.